Lattimo glass is said to have existed from the time of Romans. 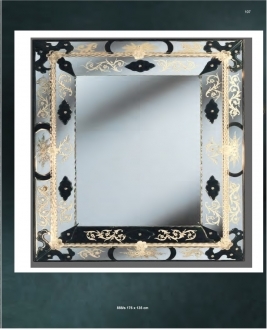 Initially it was used for enamel works on gold and silver. 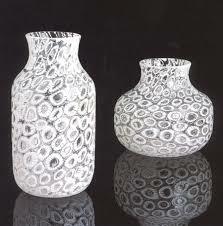 But from the 15 th century, in 1450 to be exact, lattimo glass was produced by the artisans of Murano. 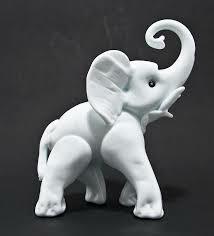 It was created as an imitation to Chinese porcelain, which was imported to Venice from China. So the lattimo glass was also called ‘porcellano’. The lattimo glass was produced by opaquing the clear glass with the help of lead and tin oxides. The molten form of the impure glass is treated with bleach and then to one of the many opaquing agents. The process gives a vibrant milky white color to the glass. Besides the lead and tin oxides, lead and arsenic oxide or bone ashes also were used for matting clear glass. 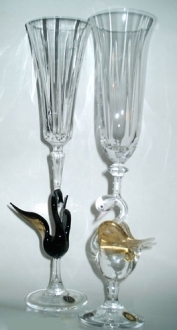 The lead arsenic combination was used during the 18th century by the Murano glass masters. The modern glass artists use crystals of calcium fluoride or sodium fluoride. These two agents crystallize easily while cooling. Adding a bit of zinc oxide accelerates the precipitation and makes the glass homogeneous. 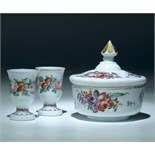 During the 16th century, lattimo glass table ware was highly popular with the Venetian nobles. The lattimo glass objects were decorated with polychrome enamels during the renaissance period, which gave an exquisite beauty to them. 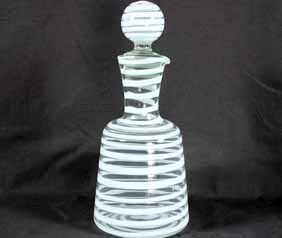 Now lattimo glass is used not only for table ware, it is also used for making sculptures. Besides, the pure white and opaque glass objects have given way to opaque white designs and even millifiori works with lattimo glass. The white luminosity of the lattimo glass makes it a great favorite with the collectors.